Kushal Shah is an author, business leader, management coach and a financial strategist with extensive experience in Finance, Economics, Decision Sciences and Outsourcing Strategies. Over the last 14 years, Kushal has helped reputed banking, financial services, insurance and e-commerce companies in improving their financial performance and restructuring their balance sheets through applications of decisions sciences. All In is his debut in fiction and creative writing, one of his key areas of interest since his early days. Apart from writing, he enjoys traveling, driving and golfing. 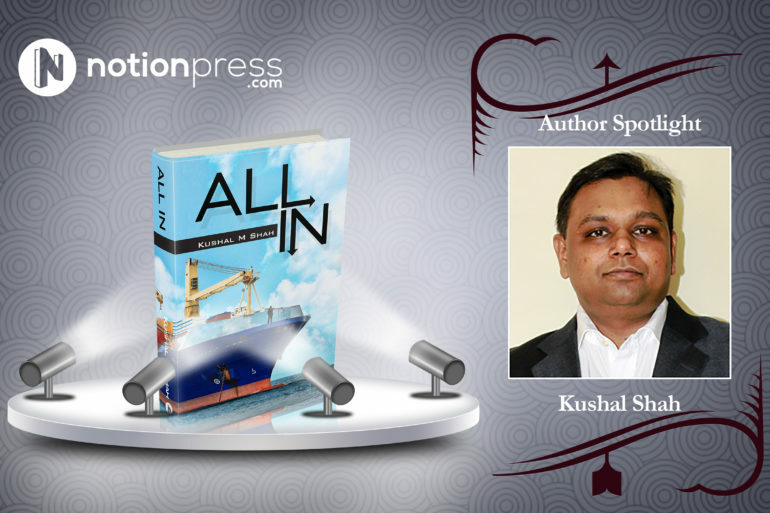 ALL IN is a white-collar crime fiction in the backdrop of money laundering and terrorism finance. It revolves around the international conspiracy surrounding the reputed Oil-for-Food program launched by the UN in the wake of Iraq war in the early 2000s. A young and ambitious Indian lawyer, Rahul Shah, gets involved in the conspiracy due to one of his clients and then tries to unearth the roots of the conspiracy. In his effort to find the roots of the conspiracy, he becomes target of one of the most lethal terrorist groups in the world. While the genre of ALL IN is crime fiction, it is an educative fiction. Common people often have curiosity around money laundering and terrorism finance. And these questions are difficult to find answers to. ALL IN attempts to provide answers to such questions in a fiction-way so that it is an interesting book for the readers apart from the lucid writing in a common parlance (without use of technical jargons or requirement of the subject matter knowledge). My target audience really is anyone who has ever thought about black money, money laundering and terrorism finance and asked themselves questions like how do terrorists get their finance or what happens to all the black money that is stashed away in tax heaven countries. We often read about black money and money laundering in various media sources, but hardly know much about it beyond the facts reported. So ALL IN is for everyone who is interested in learning more about this subject in a fiction-way. ALL IN will be a success if the readers take the message home, which is to create awareness about ill-effects of black money, money laundering and terrorism finance. My research for the manuscript started in 2012, when I first decided that I want to write a book. I already had an idea about the high-level plot. It took me almost two years to learn everything about the subject (including talking to some experts and interviewing some frontline anti-money laundering professionals). It then took me about six months to write the book. Could you share some interesting incidents that you encountered in the course of building your manuscript? I can think of this one incident where I had sent an email to a very senior official in an international quasi-government body, asking for his views on the topics of money laundering and terrorism finance. Next thing I get is an email from an enforcement agency asking me the rationale for my questions and also the purpose of my work. When I explained them in detail my objective and shared with them some work that I had already done, it was then easier to get back on track and get the correct answers of course at a condition not to disclose the sources! Publishing with Notion Press for me is not self-publishing at all! I am a writer and that’s what I would want to focus on publishing is for publishers to do! 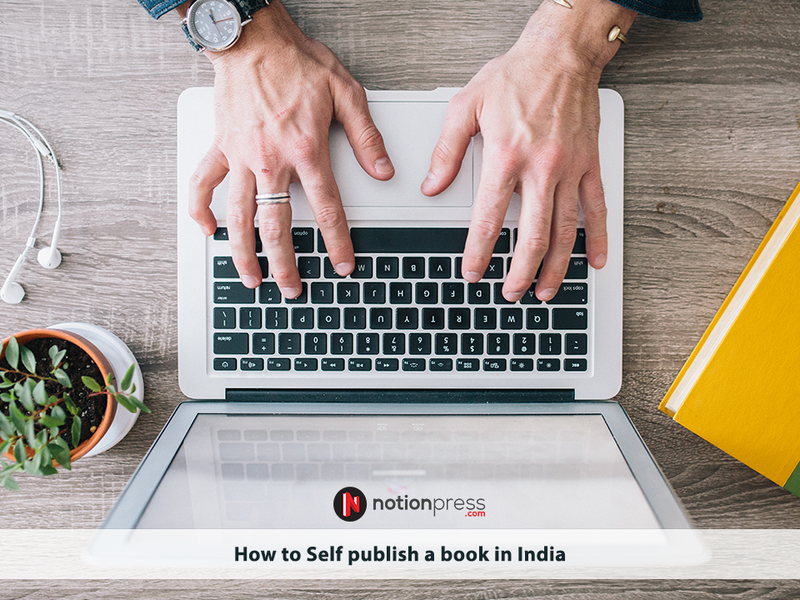 When I was nearing the completion of my manuscript and started looking for publishers in India, I came across NotionPress.com! After flipping through the services and packages that NP offers, I realized that the flexibility required for a new author could never be matched by anybody else! 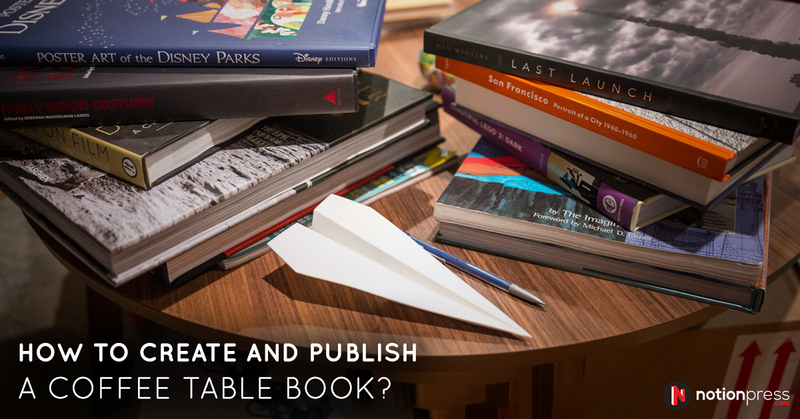 Notion Press has this very good understanding of the publishing requirements of a new author! I was amazed at the ease of interaction I had with people at NP right from my first discussion on phone. Based on the questions raised by first-time authors on various online forums, I was apprehensive of approaching publishers! I already had two such encounters myself before I spoke with Notion Press. 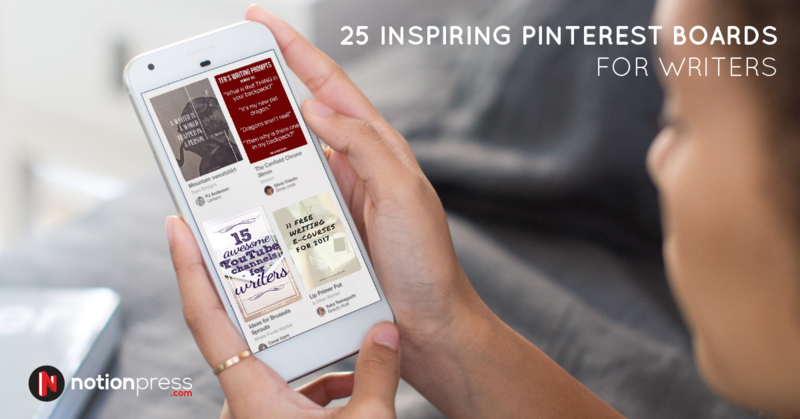 And my first call with Notion Press helped me remove the apprehensions and get into the business! The guidance and support that people at Notion Press have provided me through each stage of the publishing process is invaluable! In the hindsight, I am delighted that I selected Notion Press for my first book! As mentioned, the two most important advantages of working with Notion Press are their understanding of the requirements a first-time author would have and the flexibility they provide in the process! While I don’t have exact numbers on my hand as of yet, I already have a number of positive reviews for my book on a number of online platforms! I am also seeing a lot of traction in my groups, where people come back to me and tell me that they have bought or downloaded a copy of ALL IN. Some professional friends, who I had lost touch with long ago, have come back and praised the book! And this is happening across geographies and not only in India! I have over 1,500 likes on my Facebook page and an equal number of likes on my LinkedIn professional profile! If social media is any indicator, the book is doing well! My primary marketing strategy revolves around online marketing and social media marketing! Social media (Facebook, Twitter, LinkedIn, etc.) provides a very good platform to new authors like me to promote their work with reasonably low cost. Again, the help and guidance from Notion Press has been tremendous in this area! 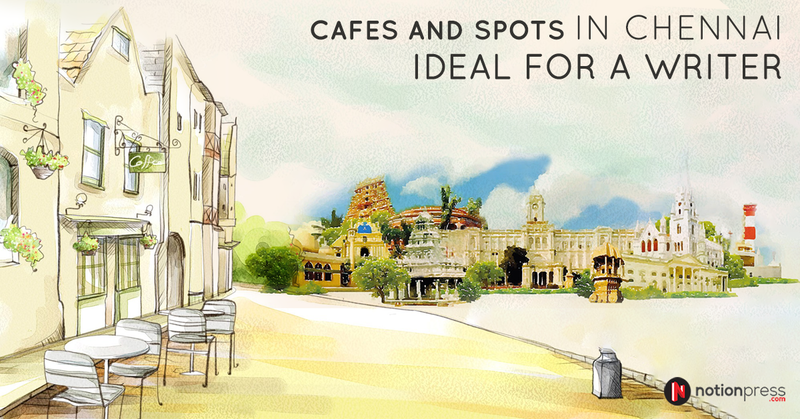 I am also organizing couple of Twitter marketing campaigns in collaboration with online marketing companies and a flyer distribution program locally in Bangalore. In near future, I will be rolling out some book giveaway programs on platforms like Goodreads.com. I will also be focusing on extensive video campaigning and off-line marketing in near future. My only advice is “ get your content right! Marketing campaigns can help you only so much! Your product your writing“ is the best marketing for you!